With over 963 million active users, WeChat is clearly a channel marketers must use in China to reach consumers. This all-in-one app gives users in China the ability to do almost anything from social messaging to paying bills. But, what can it do for marketers in the U.S.? 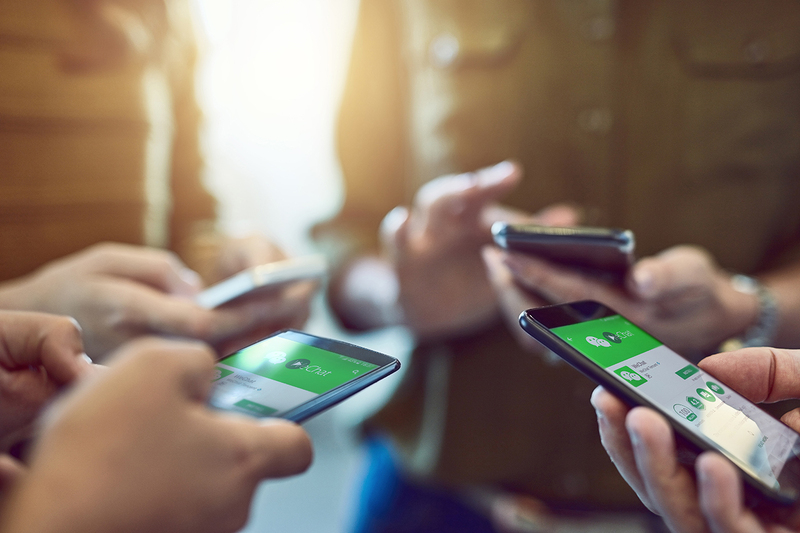 Currently, there are only a limited number of features that are open to U.S. WeChat users; some of the popular functions like car-sharing, online payment, and some advertising functions are not available, to the frustration of some marketers. But since the last couple of years, this has been slowly changing. Tencent has been more actively exploring ways to allow marketers to use the advertising function, not only to deliver messages to the users in China, but also to ones in North America. In Part 2 of our discussion with APartnership media guru, Rain Li, we continue with how U.S. marketers can utilize WeChat to reach U.S. Chinese consumers. Q: What challenges can U.S. marketers expect when using WeChat to advertise? A: A lot of the functions that are available in China are simply not an option for U.S. advertisers. So it’s a bit difficult to create a full WeChat experience or to reach the full marketing potential. There is also a lack of expertise. A lot of digital marketers are very knowledgeable and have plenty of experience in creating successful social media campaigns on local apps like Facebook, Instagram or Twitter. However, not many of them are able to convincingly call themselves WeChat experts. There are just not enough success stories or case studies to date. Q: What ways can companies in the U.S. leverage WeChat to advertise their goods and services? A: The advertising capabilities on WeChat have slowly become more and more sophisticated over the years. But there are a few key features that advertisers should focus on. First, brands can create an official page within the app. It’s almost like a mini-website, which allows you to publish individual pages, company info, blog posts and daily news, etc. Marketers can also leverage ‘Key Opinion Leaders’ who are basically WeChat’s social media influencers. These leaders have verified accounts in ‘Subscription’ on the platform. They are allowed to publish sponsored posts or videos for brands in order to build connections with their followers. And then there is WeChat Moments, which has started allowing ad placement in the U.S. only very recently. Q: That sounds interesting. Could you please tell us more about this new advertising feature? Sure! Advertising on WeChat Moments is very similar to the ‘Newsfeed’ feature on Facebook, which allows brands to push alerts to their followers. You can target users according to their age, gender, device and phone network. Unfortunately, Geo-targeting at this time is not available at the moment. But I can imagine it will be soon! A typical WeChat Moment ad usually includes: brand name and the profile picture, a short description of the ad, link to its WeChat profile, and up to 6 pictures of 6-15 second short videos. It really depends on the advertiser and the scale of the campaign. The minimum media buy would be USD $10K plus the service fee. The advertiser should also have an official WeChat account ready. Q: What are some advantages to advertising on WeChat than other social media platforms, such as Facebook, in regards to reaching Chinese consumers in the U.S.? A: WeChat offers similar ad formats and targeting as Facebook, which would be familiar to most advertisers in the U.S. But WeChat is a more preferable platform simply because that’s where the Chinese consumers are. In 2016, WeChat’s monthly active user base in China was 706.7 million. This is equal to 93% of its global count. And there are also 3.5 million Chinese tourists who visit the U.S. yearly, and they account for $35 billion in spending. It’s simply a different kind of market potential. WeChat also makes the app very business-friendly, especially in China. Companies are allowed to build a mini-website with individual pages. They can create blog posts, push notifications and send daily updates to their followers. And on top of that, they are even able to settle transactions with their customers. All of the above can be done within the app. Q: Who in your opinion is leveraging WeChat well? A lot of the luxury brands in fashion and skincare are really good at leveraging WeChat. A lot of the activations involve major events and public holidays in the Chinese calendar, e.g. the Lunar New Year, the Lantern Festival or Golden Week. Q: How has APartnership leveraged WeChat for your clients? One of our most successful WeChat executions is from our collaboration with Sky View Parc [SVP], a condominium development in the heart of Flushing, New York, one of the most diverse neighborhoods in the U.S. With almost 70% of the Flushing population being Asian, and the majority of them being Chinese, it was imperative to create a full WeChat experience. You can take a look at the SVP case study page on our website to see how we were able to help SVP become the best selling NYC building in 2017, with the help of marketing on WeChat. Q: Lastly, what is next for WeChat? It’s been recently announced that Tencent is the first-ever Chinese tech company to be valued at $500 billion, surpassing Facebook. There is still a lot of potential and untapped markets, e.g. South Asia, which is home to more than 600 million people. The company has also shown interest in exploring the African market as more and more Chinese workers move there to work on government-funded projects. But for the purpose of our conversation, advertisers in the U.S. should know that Tencent has been opening up new advertising solutions and resources that now enable U.S. marketers to directly engage Chinese consumers on WeChat both in China and when they travel abroad. It might seem like it’s a bit crowded in the social media space now. However, WeChat does provide a very different experience to its users and advertisers. It will be interesting to see how this will play out in the next few years!